Join us for every kick, every shot and every goal of the Champions League. 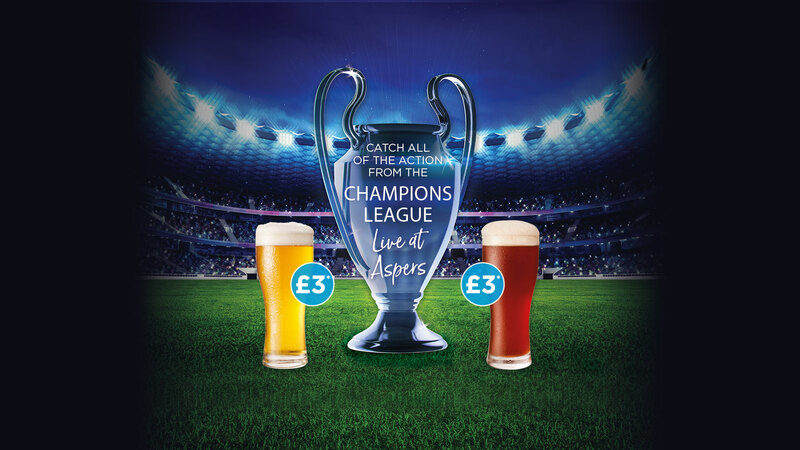 Catch every game in Aspers Sports Bar and enjoy a pint of Fosters, John Smiths or Strongbow for just £3*! *Terms and conditions apply. Select here for terms.